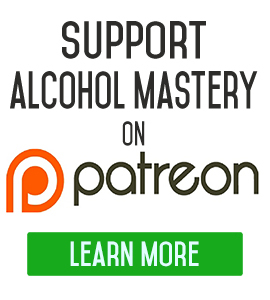 Alcohol Help – Long Boring Nights – What Do Others Do Once They Quit? What to do when you have quit drinking and you’re bored? What have others done in the past? Let’s talk. This is a question I got through an email. The person wanted to know what to do when you’re bored on those long evenings, all that time that you’ve got on your hands now that you’ve quit drinking. What do you actually do to overcome the boredom? First of all, if you want a course on this, I have a course with over 80 videos, 7 hour-long HD videos. You can get that on the website by just signing up for the free newsletter and I’ll send you a link to that. There are a lot of good suggestions in there for overcoming boredom, for basically stressing less and relaxing more. don’t do the same things that you did while drinking. 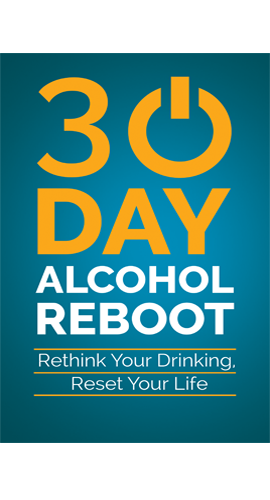 Quitting drinking alcohol is the easiest part of this process. You quit drinking and that’s it. That part of it is done. Then you have to deal with the underlying framework, the lifestyle that you’ve built up over all these years that supported the alcohol, that’s all that it is. I’m not just talking about that from the perspective of overcoming cravings or following your dreams and getting to the future that you want to live. Another part of this is just getting through your day. Think about your alcohol use and how much time that actually took in your life. Look at it from the perspective of when you first started thinking about drinking, you’re going to work and you’re looking forward to that few pints at the end of the day, take a glass of wine and put your feet up in front of the telly in the evening, to when you’re actually consuming the alcohol and going through the consequences and the hangover and the foggy mind the next day. All that takes a lot of time and energy. And, once you stop drinking, all this energy is freed up and you’ve got a lot of time on your hands. Like this person says, he’s looking at this from the perspective of long, boring evenings. You’re looking at the evenings as boring, where you’ve got all this time on your hands and nothing to do with it. It’s not going to happen overnight that you’ll find something better to do, but my advice is not to try and do the same things that you were doing while you were drinking. If you used to drink in front of the television, you can’t do that anymore. Get up and do something else. Certainly don’t go to the pub, because drinking with other people when you’re not drinking, being in the company of other drinkers is certainly going to be boring. Regardless of when you do it, whether it’s a year or four years after, drinkers are boring. Drinkers are boring people because the behaviour is habitual and so are the rituals that they do. It’s all the same thing one after the other. Conversations are the same, the places that they sit are the same. Everything being equal, drinkers want everything the same so that they can concentrate on their alcohol. They forget about things and they just don’t want to think about anything anymore; they just want to do what they want to do to attempt to relax and destress from the day. As Einstein put it, you can’t solve a problem by getting into it with the same mind that you used to get into it. So you’ve got to start thinking differently, think about how can you do this? And the only way generally that you can figure out these things is to experiment, to try new things. It’s the way I’ve done it, it’s the way everyone has to do it. When we start out this journey, we start out with a drinker’s mentality, a drinker’s mind. This is what we’re used to doing, so the alcohol is gone but now you’ve got to replace it with something else. 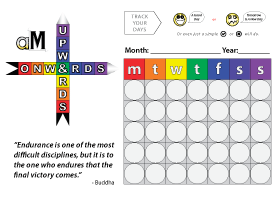 You have to take apart the framework that kept your habit going, and figure out a way of filling the gaps. That’s where you have to start experimenting. There’s nothing wrong with boredom for boredom’s sake. Boredom is your mind putting a framework around doing nothing as something bad. So at the end of the day you can sit there doing nothing, and accept boredom and just go with the flow. Use it as a time to think or plan or whatever. Or just sit there and do nothing, there’s nothing wrong with that. We live in a world where everything has to be continuous, we have to be continuously doing something, and that’s just not healthy. So, go with the boredom and see where that brings you. Finally, what I do to overcome boredom is I move and I do something. I go out and walk mostly. I walk around the block. Your brain is set up for change, your brain loves change. So, you will find that when you change your environment, your brain will automatically click over, and you won’t be thinking bored thoughts anymore. So, if you have any comments or questions, leave them down below as usual. You’ll find the audio and the transcript there as well. Until next time, experiment and try and find things. That’s the only way that you’re going to figure out yourself. I can tell you a lot of things that I do. When I’m really bored, I pig out on TV series. But whatever I do might not interest you. It might be the antithesis of what might interest you. So, think about your own things and experiment, put yourself out of your comfort zone, that’s the only way you’re going to do this. Until next time, keep the alcohol out of your mouth, stay safe, and good luck! 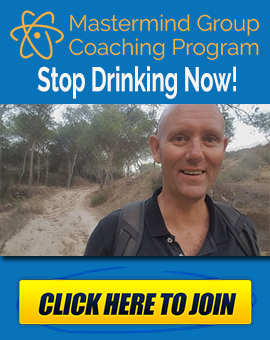 I just purchased your stop drinking video course. 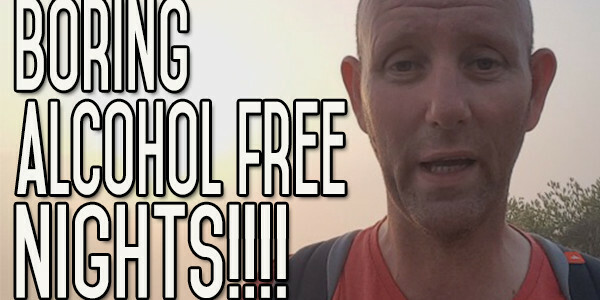 I think it will really help me stay off the booze and thank-you for your other videos also you are an inspiration. What do you do to regain your kids trust in you to get them back in your life and talking to you after you have scared them and disappointed them with your drinking? Letters, texts, and phone calls to no avail. Just saw new longitudinal study showing coffee will help against cirochis of liver..2 cups/day 25%, 3 cups/day 40%..4 cups/day 55% less chance of liver Cirochis! I can forward link to you.. I have to admit from I’ve quit alcohol my nights are anything but boring because I have renewed my love for cycling. Last year when I was on the stuff I started go to the gym and really enjoyed it but cut things short to run off to the bar for a few beers this time round I’ll not be cutting anything short ill probably still call into the bar to watch the football or rugby and a bit of crack with the mates and a sparkling water.